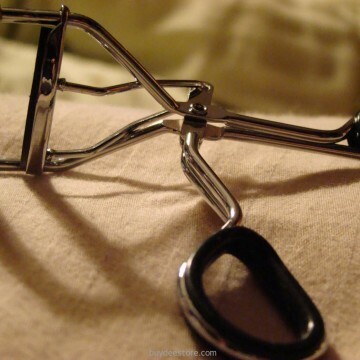 Eyelash curlers come with many benefits which can help you get the perfect lash curl. Arguably the best benefit they have to offer is that it makes the curling process easier and your lash curl last longer. It is the heated element of the curler which allows you to easily curl your lashes without the need to hold the clamp down for long periods of time, saving you time and unnecessary pressure on your lashes. Also, just like if you were to curl your hair using a hair straightener or a curling tong, because you are using heat, your eyelash curl will hold for increasingly longer periods of time compared to non heated lash curlers, helping you to show off your beautiful eyes without having to worry how they look. This is an important factor as when using non heated lash curlers, many people can damage their eyelashes by holding down the clamp on their lashes for increased lengths of time, leading to their lashes either being pulled out or falling out due to the stress of continuous clamping.